When it comes to discussions around books and publishing, we all know the most exciting topic at the table: How to get an ISBN. We know not everyone is thrilled by the idea of obtaining a serial number, but ISBNs are a critical part of self-publishing. Luckily, we’re here to answer all of your questions. How to get an ISBN? Do all self-publishing authors need an ISBN? 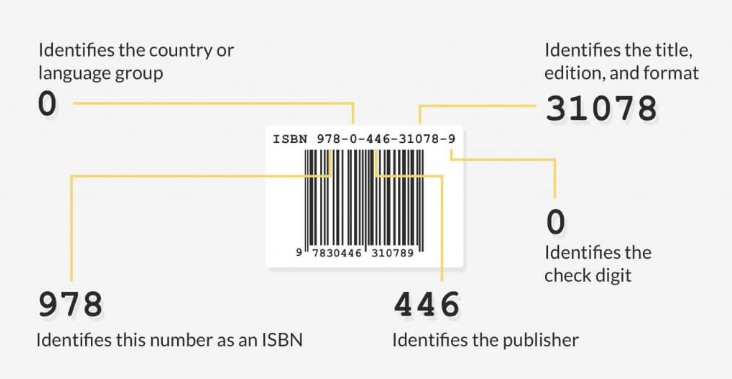 An International Standard Book Number, or ISBN is a 13-digit code used as an unique identifier for publications.They allow publishers, bookstores, libraries, or readers to easily find your book. *Almost all publishers accept ePubs. Some of them do convert the ePub into an alternative format after the fact (for instance, Amazon will convert it to a MOBI file). But it’s the source format that counts — so if you upload an ePub to various retailers who then convert it to different formats, you can retain the same numbers for each digital version. Is it the same as a barcode? While you might find the ISBN and barcode in the same spot on the back of a book cover, they fulfill different purposes. Just to throw more fun acronyms into the mix, a standard barcode is known as a European Article Number (EAN). A barcode is also a unique series of digits that uniquely identifies a book — however, it provides information such as the price of a publication and the currency in which it’s being sold. 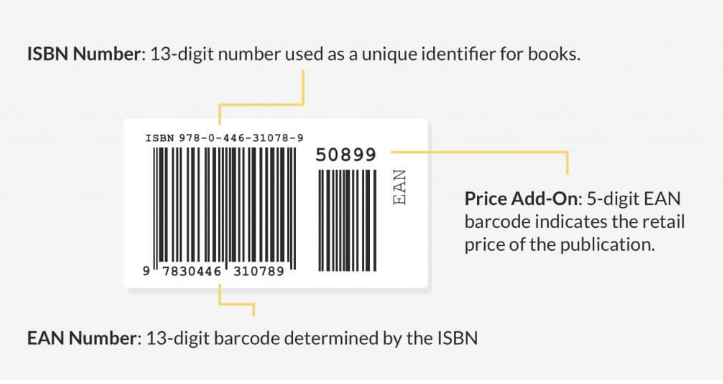 Unlike ISBNs, a barcode can change based on the cost of the book. As they are used by retailers for inventory reasons, only authors who are planning to print and distribute hard copies of their titles need to obtain a barcode. In many places, such as Canada, the government provides ISBNs for free. To find out if this is the case in your country (and for instructions on requesting a number), look up your local agency here. In the US, ISBNs are administered through Bowker and can be bought via myidentifiers.com. In the United Kingdom, authors can buy a number through Nielsen. Regardless of where you live, once you have received your ISBN, you should register it at Bowkerlink. This will automatically add your title to Bowker’s Books In Print: a bibliographic database that libraries around the world consult to source titles. It currently hosts about 7.5 million US book, audiobook, and movie titles, as well as 12 million international titles. But — you probably knew there was a “but” coming — here’s the catch: when you register for a free or discounted ISBN through an aggregator such as the ones listed above, you are limited to the retail channels of that publisher alone. This is due to regulations enforced by Bowker. Not all authors will take issue with this. For instance, you might be selling your ebook through KDP, and then decide to also sell through Draft2Digital. The former will provide you with a free ASIN and the latter with a free ISBN. Piece of cake. But then let’s say that sales aren’t what you want them to be and you decide you’d like to access the distribution channels of BookBaby or Smashwords. 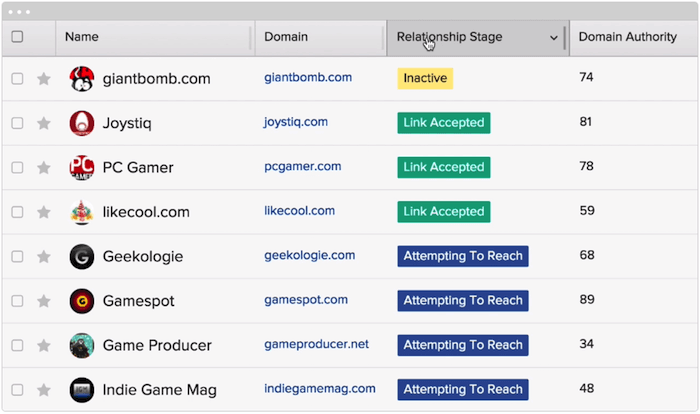 You’ll need to register for separate numbers from each of those publishers as well. This can snowball into you having several ISBNs and several different publishers all listed for the same book. This looks unprofessional and can harm your chances to get stocked in libraries and brick-and-mortar bookstores. Publish their book as a paperback, hardcover, or an audiobook. Sell their book to brick-and-mortar stores or libraries. Sell their book in an ebook format. Sell via online retailers such as Amazon. Those are the basics, but there’s much more for authors to consider than just whether or not they technically need an ISBN. Authors who only plan to publish and sell an e-book don’t need an ISBN, and there isn’t a shortage of reasons for them to avoid buying one. Here are a few. They aren’t cheap (more on that later). Indie authors don’t typically have overflowing publishing budgets. There is no proof that it increases or sales. If you’re using an online retailer, your goal is to be as visible as possible to potential readers, and you’d be hard-pressed to find a reader who searches using ISBNs. It doesn’t affect your chances of hitting a bestsellers list. If landing a spot on one of those is part of the dream, a glorified serial number won’t help you get there. Regardless of what identifier is attached to your book, sales are reported based on the title and the author’s name. So even if your book has 25 different IDs, it won’t affect the way your overall sales are collected. The largest ebook retailers don’t require you to have one. The most popular online book retailers are Amazon, Apple, Barnes & Noble, and Kobo — all of which assign you their own identifier when you upload your book to their store. Some vendors impose restrictions when you “bring your own ISBN.” For example, CreateSpace prohibits books that already have an ISBN from accessing some of their expanded distribution channels, such as their Libraries and Academic Institutions channel. The current system is often quoted as being outdated. An ISBN is a great tool for tracking the sales of a book. But the rise of self-publishing and (as we mentioned above) ebook retailers' own inventory systems have made ISBNs a fairly inaccurate data collector. But before you make up your mind, let’s quickly cover why there might be value in the 13-digit ID. Your long-term publishing goals should contribute to your decision to/not to buy an ISBN. If your plan is to publish multiple novels and to brand yourself as a legitimate publisher, buying your own identifiers is a good idea for administrative and professional purposes — when you own your own ISBN, you get to choose what name appears as the publisher. It will also allow you to keep your sales options open. While indie authors should absolutely offer their publications as ebooks, and listing your book on the top 4 retailers is a no-brainer, there are many other avenues to consider — such as brick-and-mortar bookstores, and libraries. Without an ISBN, you rope yourself off from those avenues and their valuable potential for sales. A quick word about libraries: They may not be the first thing that jumps to an indie author’s mind when they think of viable places for their book, but in the United States, libraries spend over $3 billion annually on reading materials. So you shouldn’t discount them. Their biggest supplier is OverDrive, who circulated more than 105 million e-books to libraries in 2015. They also supply to retailers. But to get in on this action, your book requires an ISBN. Lastly, you’ve probably never thought of buying a book and then changed your mind because you noticed it didn’t have an ISBN. Readers don’t care about them. However, to just get your book in front of readers means competing with traditional publishers — and in this competitive arena, we generally adhere to the notion that every bit helps. If you want your book to look as professional as possible, you might want to consider getting an ISBN so you have the power to determine who is listed as the publisher of record. Do your ISBN research ahead of time: Something important to note is that while you absolutely can obtain an ISBN for a book after it’s been published, updating an existing title with an ISBN will impact your sales ranking and the reviews you’ve already received on your vendor book page. Major retailers view an ISBN as a book — so if you replace the identifier they provided with one purchased from Bowker, it’s basically like you are uploading an entirely new book — one with zero sales or reviews. How much does an ISBN cost? Of course, this depends on where you live. In the US, here are the costs of purchasing ISBNs from Bowker. So, it’s not an addition to the cost of self-publishing to laugh at. In both cases, the most economical option is to purchase ISBNs in bulk if you are planning to publish more than one format of one book. There’s no wrong or right answer provided that you think ahead. If you have a lightbulb moment one day and decide to write and publish a book as a passion project, you can probably eschew the price tag of an ISBN and rest easy. If you’re looking to start your own publishing business, then carefully weigh your options. Investing in an ISBN might be the smart bet or an unnecessary one, depending on your goals. This is an introductory guide to how to self-publish (both print and ebook), and how to choose the right services or approach based on your needs and budget. Investing in a Print Run: Yes or No? If you don’t want to read the entire post, I talk you through the highlights in this video. For most of publishing’s history, if an author wanted to self-publish, they had to invest thousands of dollars with a so-called “vanity” press, or otherwise learn how to become an independent, small publisher. That all changed in the late 1990s, with the advent of print-on-demand (POD) technology, which allows books to be printed one at a time. As a result, many POD publishing services arose that provided authors with low-cost self-publishing packages. They could be low cost because—without print runs, inventory, and warehousing—the only expense left was in creating and designing the product itself: the book. Outfits like iUniverse, Xlibris, and AuthorHouse (which have merged and been consolidated under AuthorSolutions) offered a range of packages to help authors get their books in print, though most books never sat on a bookstore shelf and sold a few dozen copies at best. Just as traditional publishing has transformed due to the rise of ebooks, today’s self-publishing market has transformed as well. Most self-published authors earn the bulk of their money from ebook sales. Furthermore, 85% or more of all US ebook sales happen through a single online retailer, Amazon. Anyone can make their ebook and print book available for sale in the most important market—Amazon—without paying a cent upfront. That means the full-service POD publishers that used to make a killing are now largely irrelevant to most self-publishing success, even though you’ll find them advertising against Google search results for “self-publishing.” Don’t be immediately lured in; first understand your options, explained below. There are several ways to self-publish in today’s market. Self-publish completely on your own, hiring only the freelance assistance you need, and work directly with retailers and distributors to sell your book. 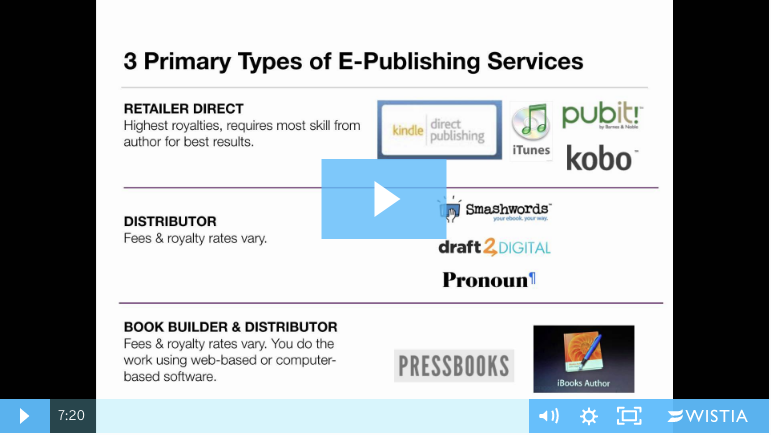 Self-publish by hiring a service company to basically act as your publisher. Work with a “hybrid” publisher. This post will expand on how to self-publish completely on your own. Before I explore that process in detail, here’s an explanation of the other choices you have. This is what I call the “write a check and make the headache go away” method of self-publishing. If you have more money than time, and have no interest in being a full-time career author, this may best serve your needs. Service packages and publishing arrangements tremendously vary, but the best services charge an upfront fee, take absolutely no rights to your work, and pass on 100% net sales to the author. They make money on charging authors for the services provided (editorial, design, marketing, and so on), not on copies sold. Such books will almost never be stocked in physical retail bookstores, although in some rare cases, it may happen. Most assisted publishing services have different packages or tiers of service, while others offer customized quotes based on the particular needs of your project. The benefit is that you get a published book without having to figure out the details of the publishing industry or finding freelance professionals you can trust. The best and most expensive services (which can easily exceed $20,000) offer a quality experience that is comparable to working with a traditional publisher. You should avoid companies that take advantage of author inexperience and use high-pressure sales tactics, such as AuthorSolutions imprints (AuthorHouse, iUniverse, WestBow, Archway). Examples of good assisted services include Matador, Mill City Press, DogEar, Radius Book Group, Book in a Box, and Girl Friday Productions. To check the reputation of a service, visit Mick Rooney’s Independent Publishing Magazine. Some self-publishing (or assisted publishing) services have started calling themselves “hybrid publishers” because it sounds more fashionable and savvy, but such companies may be nothing more than a fancy self-publishing service. Fees dramatically vary and quality dramatically varies. You have to do your research carefully. I discuss hybrid publishing in more detail here. As with self-publishing service companies, you will fund book publication in exchange for expertise and assistance of the publisher; cost is often in the thousands of dollars. You may receive better royalties than a traditional publishing contract, but you’ll earn less than if self-publishing on your own. Each hybrid publisher has its own distinctive costs and business model; always secure a clear contract with all fees explained. Today, anyone can get access to the same level of online retail distribution as a traditional publisher, for both print and ebook editions, through services such as Amazon KDP, Draft2Digital, CreateSpace, and IngramSpark. I will explain how and when to use these services throughout this post. You don’t “pay” these services until your books start to sell. Every time a copy of your book is sold, the retailer takes a cut, and if you use a distributor, they’ll take a cut, too. You, the author, manage the publishing process and hire the right people or services to edit, design, publish, and distribute your book. Every step of the way, you decide which distributors or retailers you prefer to deal with. You retain complete and total control of all artistic and business decisions; you keep all profits and rights. Self-publishing on your own means making decisions about your book’s editorial, design, and production quality. I offer a checklist for the book publication process here. What follows is an explanation of how to self-publish once you have a final, polished manuscript and/or printer-ready files. Some of the services I reference, particularly CreateSpace, offer fee-based services related to editing, design, and marketing. These package services may work OK for your needs, but I think it’s better to hire your own freelancers and always know who you’re working with. Also, you can take a look at Joel Friedlander’s book template system, which offers a way for total beginners to prepare ebook and print book files that are ready to be distributed and sold. You don’t have to set up a formal business (e.g., in the United States, you can use your Social Security number for tax purposes), but serious self-publishers will typically set up an LLC at minimum. For the basic information on how to establish your own imprint or publishing company, read Joel Friedlander’s post, How to Create, Register, and List Your New Publishing Company. Free to play. You rarely pay an upfront fee. When you do pay upfront, usually in the case of a distributor (such as BookBaby), you earn 100% net. If you don’t pay an upfront fee, then expect a percentage of your sales to be kept. At-will and nonexclusive. You can upload your work at any time and make it available for sale; you can also take it down at any time. You can upload new versions; change the price, cover and description; and you can sell your work through multiple services or through your own site. Again, it’s important to emphasize: By using these services, you do not forfeit any of your rights to the work. If a traditional publisher or agent were to approach you after your ebook has gone on sale, you are free to sell rights without any obligation to the services you’ve used. Ebook retailers. Nearly all ebook retailers offer to distribute and sell self-published ebooks through their storefront or device, then take a cut of sales. The biggest and most important of these is Amazon’s Kindle Direct Publishing. Ebook retailers do not offer any assistance in preparing your ebook files, although they may accept a wide range of file types for upload. Ebook distributors. These services primarily act as middlemen and push your work out to multiple retailers and distributors. This helps reduce the amount of work an author must do; instead of dealing with many different single channel services, you deal with only one service. The most popular ebook distributors in the United States are Draft2Digital and Smashwords. Book builders and distributors. These are tools that allow you to create and distribute your work all from one interface. These are most common for children’s books and highly illustrated books, such as Kindle Kids’ Book Creator. One popular approach for independent authors is to sell and distribute directly through Amazon KDP, then use a distributor like Draft2Digital to reach everyone else. Because none of these services demand exclusivity, that’s possible. 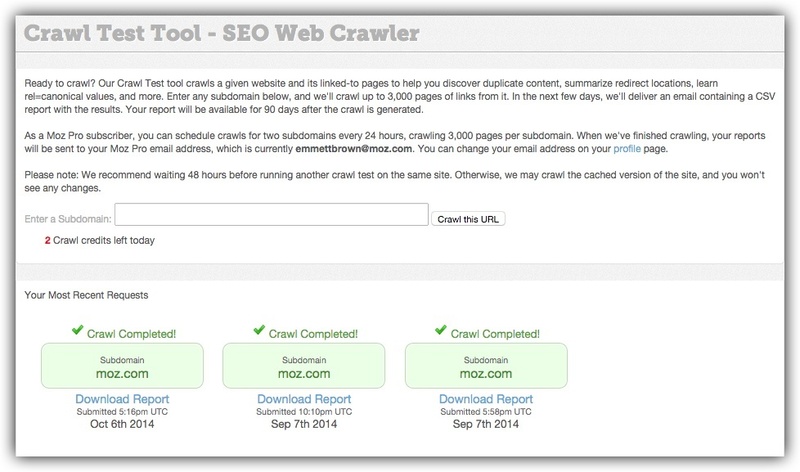 Nearly every service asks you to upload a final ebook file that is appropriately formatted. Services vary widely in the types of files they accept. Because standards are still developing in the ebook world, you may find yourself converting and formatting your book multiple times to satisfy the requirements of different services. EPUB. This is considered a global standard format for ebooks and works seamlessly on most devices. While you cannot export an EPUB file from a Word document, you can save your Word document as a text (.txt) file, then convert and format it using special software. PDF. PDFs can be difficult to convert to standard ebook formats. It’s not a recommended starting point for ebook conversion. Most major ebook retailers and distributors accept a Word document and automatically convert it to the appropriate format, but you still must go through an “unformatting” process for best results. All major services offer step-by-step guidelines for formatting your Word documents before you upload them for conversion. Calibre: Free software that converts and helps you format ebook files from more than a dozen different file types. If you’re feeling overwhelmed at the idea of converting and formatting your own ebook files, then you may want to use a distributor or service that’s customer-service oriented in this regard, such as Draft2Digital. If your ebook has special layout requirements, heavy illustration, or multimedia components, you should probably hire an independent company to help you (eBookPartnership is one option). But if your book is mostly straight text—such as novels and narrative works—then you might be able to handle the conversion and formatting process without much difficulty if you’re starting with a Word document or text file. There are a number of special considerations for ebook cover design. People may see your cover in black and white, grayscale, color, high-resolution, low-resolution, thumbnail size, or full size. It needs to be readable at all sizes and look good on low-quality or mobile devices. For these reasons (and many more), it’s best to hire a professional to create an ebook cover for you. One designer I frequently recommend is Damon Za. Is your book highly illustrated? Does it require color? If so, you may find there are significant challenges to creating and distributing your ebook across multiple platforms. Is your book for children? Ebook adoption in the children’s market is in the single digits, unlike the adult market. Ebook-only work will struggle to gain traction. Print-on-demand technology allows for books to be printed one at a time. This is by far the most popular way to produce print copies of your book because it reduces financial risk. Most people cannot tell the difference between a POD book and an offset printed book—at least for black-and-white books. You may have very few print copies on hand—or it will be expensive to keep ordering print copies to have around. While it can be fairly straightforward and inexpensive to get a print book in your hands via print-on-demand services, virtually no one can get your book physically ordered or stocked in bookstores. Self-publishing services may claim to distribute your book to stores or make your book available to stores. But this is very different from actually selling your book into bookstores. Bookstores almost never accept or stock titles from any self-publishing service or POD company, although they can special order for customers when asked, assuming the book appears in their system. 7. Investing in a Print Run: Yes or No? This is for a $14.99 standard 6×9 paperback, about 240 pages. If you check the ebook bestseller lists, you’ll see that independent novelists charge very little for their work, often somewhere between 99 cents and $2.99. Some argue this devalues the work, while others say that it’s appropriate for an ebook from an unknown author. Whatever your perspective, just understand that, if you’re an unknown author, your competition will probably be priced at $2.99 or less to encourage readers to take a chance. Typically, the more well known or trusted you are, the more you can charge. Note: Nonfiction authors should price according to the competition and what the market can bear. Sometimes prices are just as high for digital editions as print editions in nonfiction categories. Your Amazon page may be the first and only page a reader looks at when deciding whether to purchase your book. Optimization of this page—the marketing description, the book cover, your author bio, the reviews, and more—is critical for driving sales. Giveaways are an important part of ebook marketing and sales strategy for indie authors. I comment more on that here. This is but a scratch on the surface of the world of ebook marketing. Author Nicholas Erik maintains an excellent beginner’s guide. Here are high-quality, full-service publishing providers that I trust. April 26, 2018 by IngramSpark Staff You can write the absolute best book in the world, have top-of-the-line book distribution and quality, but another essential part to being a successful publisher is taking the time to invest in expanding your publishing knowledge and expertise, because, at the end of the day, your book’s success needs your input. We now offer free online self-publishing courses on topics that are most beneficial to your success as a publisher or published author. There aren’t authors or publishers in the world who are publishing a book intended for sales that hope they won’t sell any copies. If you’ve done the work to write and publish a brilliant book, then readers should know about it! There also isn’t an author or publisher anywhere who knows all there is to know about publishing. There’s always more to learn as the publishing landscape changes constantly and so do readers and how they consume your content. Traditional publishers are required to adapt to the market as well, but your advantage as an indie publisher is that you’re more versatile than they’ll ever be. Even if you get just one piece of inspiration from seeking out more information, that’s a piece you didn’t have before and weren’t applying to your book’s potential success, so as an indie publisher, one of our best pieces of advice is to never stop learning and looking for opportunity. There’s no need to publish a book and simply hope for the best when it’s well within your grasp to actually be the best publisher you can be. IngramSpark helps close the gap between independent publishing and traditional publishing by allowing authors and publishers access to the same global book distribution and quality enjoyed by traditional publishers at prices self-publishers can afford. But why stop there? Offering access to the information and best practices utilized by traditional publishers to make their books more successful is something you, as an indie publisher, can personalize and optimize on a much different level than even traditional publishers can. So yes, IngramSpark helps you print and distribute your print books and ebooks, but we also offer you the educational aspects to help you and your book succeed – of which IngramSpark Academy is one. Our online self-publishing courses are on areas of the publishing process that most affect your publishing success and on which you and your fellow authors have indicated you’d love to know more. Building your author platform is essential. There’s a reason why this is one of the main reasons authors are acquired by traditional publishers. Having an author platform ensures that an author has a built-in audience for a publication. Every good book needs an audience and every great author deserves fans. This course offers you a better understanding of how and why people buy books and tips on how to find your audience, target your audience, and how to engage with them. We can’t stress enough how important your book metadata is to your book’s online discoverability, not only to readers, but also to retailers and librarians. This course offers helpful tips in regards to your book’s most essential metadata such as: keywords, title, book description, author bio, subject codes, trim size, ISBN, price, and publication date. We’ve already had an incredible response to our first two online self-publishing courses with hundreds enrolled and several 5-star reviews, and we have more planned! Our next two courses to be released will be Social Media Marketing and How to Self-Publish. While not live just yet, you’re welcome to sign up to be notified when they’re available. We hope you'll take the opportunity to invest in your publisher education, whether it be through our free courses, podcast, blog, or downloadable resources, or by getting involved in a publishing association or attending a conference. It's your content. Do more with it! by Kirsten Oliphant, the author of Email Lists Made Easy for Writers and Bloggers and the host of the Create If Writing podcast. This Is Post #2 About GDPR And What It Means For Writers And Bloggers In Particular. I’m In The US, So My Thoughts And Take On This Are As Someone NOT In The EU. Here Are Some GDRP FAQS To Help You Understand What You Need To Know! This post is really going to be a big list with as concise and clear answers as I can give. I’ve got a meatier post that focuses on a few specific aspects of GDPR in more detail and am doing a free training on strategy– particularly how you can use freebies in a post-GDPR world. Now let’s get to those GDPR FAQS! Note: I’m not a legal expert, nor a lawyer. You should absolutely ask your lawyer or representative for more on this and do your own research as needed to make sure that you are compliant! Also, just know that this is the perspective of someone outside the EU. GDPR stands for General Data Protection Regulation and refers to a policy put in place in the EU to harmonize the laws regarding data collection and protection. The goal is to protect private citizens and their data and to hold companies (large and small) more accountable for how they handle data. Anyone who collects data from people in the EU. BUT I’M JUST A PERSON! I’M NOT A COMPANY. I’M AN AUTHOR OR BLOGGER. IS THIS THE SAME REQUIREMENT THAT A BIG COMPANY HAS? Yes and no. A big company will likely have to appoint a specific person in charge of this according to GDPR. The fines are set to be proportionate to size, so if you’re investigated, they will take into account your size, but being small or a solopreneur does NOT give you a pass. Anyone of any size handling data from persons in the EU is under GDPR. Essentially any information: email address, name, or any other information. BUT I’M LOCATED OUTSIDE OF THE EU. DOES THIS REALLY IMPACT ME THE SAME WAY? Yes and no. You are responsible for how you handle data from persons inside the EU. This may or may not be a large percentage, but you are still responsible. This means that you either need to make all your forms and policies compliant across the board or find a way to create EU-specific forms that only people in the EU can see. That’s fairly challenging. WHAT ARE THEY GOING TO DO IF I IGNORE GDPR? Probably nothing. But if you have complaints, there are high fines (proportionate to the size of your company). You don’t want to have an investigation or break the trust of your followers by not complying with this. (Even if you don’t like it and don’t live in the EU.) They ARE taking this seriously. I’M JUST A BLOGGER. WHAT KIND OF DATA DO I EVEN HAVE ACCESS TO? You might be surprised to learn that it could be a LOT. Many websites (wordpress included) store data in your dashboard in contact forms and even in your comments section. Yikes! You may want to consider a plugin like this GDPR Compliance one to add checkboxes for consent to any places people might enter data. WHAT OTHER DATA DOES MY WEBSITE COLLECT? HOW DOES GDPR AFFECT MY EMAIL LIST? If you are using a trusted provider like ConvertKit, Mailerlite, or Mailchimp (to name a few), you’re likely in good hands. These are what GDPR calls data processors, which means that they have a responsibility with the data you collect for your email list. They will do a lot of the heavy lifting for you. If you are NOT using a trusted provider and you are sending out emails via gmail to a mass group or using a service that’s free but no one has heard of, STOP. Get serious about this. There are US laws as well (like the CAN-SPAM Act) that have lots of requirements that these same email service providers help you maintain. SO WHAT WILL MY EMAIL SERVICE PROVIDER DO FOR ME? That depends on the provider. I use and highly recommend ConvertKit and they have been FABULOUS. They are working to provide checkboxes (more on that in a sec) to help you gain lawful consent. They also created a segment for EU people in the back end of your email so that you can obtain consent from those people already on your list. WAIT, AREN’T THOSE OLD EMAILS GRANDFATHERED IN? SO WHAT THE HECK DO I DO WITH THOSE EMAILS? Again, some of this depends on your email service provider. Convertkit made it possible for you to send an email just to your EU subscribers, asking them for consent. Contact your provider to see what they are doing. I GIVE UP. CAN’T I JUST BLOCK EU PEOPLE? Probably…but do you really want to? Let’s just calm down and try to focus. Your email service provider may also allow you to show the EU forms just to EU people. This can be tricky because of ip addresses and such, but is at least a step, especially if 90% of your audience is not in the EU and you don’t want to have to apply those standards to everything. SO WHAT DO I NEED ON MY EMAIL SIGN-UP FORMS TO COMPLY WITH GDPR? I NEED A CHECKBOX? WHAT? HOW DO I GET THESE? Yes, you need a checkbox if you want to send people signing up for your freebie other emails AFTER they get the freebie. (This is, to me, the biggest impact and I’ll circle back to this in a minute.) You can’t have the checkbox pre-filled, either. People have to actively consent to the marketing emails. Your email service provider, again, should help take care of this. WHAT IF PEOPLE DON’T CHECK THE BOX? DO THEY GET MY FREEBIE FOR…FREE? Yes. This is where a lot of people outside the EU are balking, for good reason. Freebies have long been a way to grow your email list, whether you are an author who is offering a reader magnet or someone giving a free book or offering a free webinar or workshop. WHAT IF I DON’T WANT TO DO THAT? ARE YOU SUGGESTING THAT I DON’T COMPLY WITH GDPR? I’ve heard raging debates over this from various “experts” and it seems that GDPR has many interpretations. 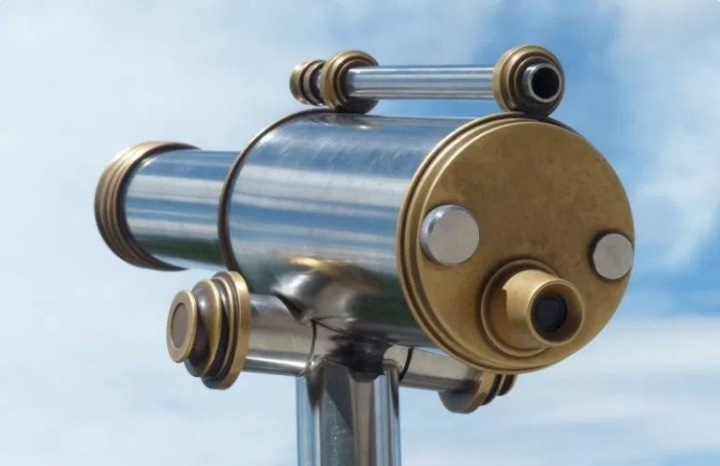 Honestly, until this bad boy is in place and we start seeing how it impacts things, we won’t have a fully clear view. I’m making plans and updating things, but also watching closely to see how this all pans out. IF I’M INVESTIGATED, HOW CAN I PROVE THAT I COMPLIED? 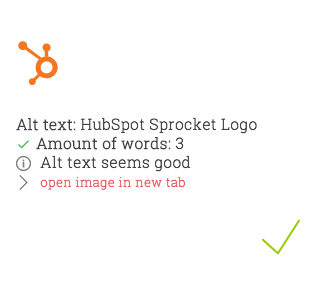 This is tricky, but double opt-in is a good start. I’ve recommended this anyway, but this is a way that will create a clear proof of the path someone took to get on your list. Read more about double opt-in and permissions and why I recommend double. HOW DO I KNOW IF I’M USING DOUBLE OPT-IN? Often it’s the default. Mailchimp made single opt-in the default this year (in a move I can’t wrap my brain around), so you may need to go into each list you have on Mailchimp and check the settings. Always check as well that your forms and signup process are optimized and customized. WHAT ABOUT OTHER WAYS THAT I GET PEOPLE ONTO MY LIST? HOW DOES GDPR AFFECT THIS? Well, if you are hosting a webinar, running a virtual summit, offering a reader magnet in the back of an Amazon book, doing a giveaway in exchange for an email, running a quiz that people need to opt into to get their results, giving away a PDF, doing a free workshop, creating bonus content, or any other method where people sign up for one thing and also get a follow-up sequence that leads to your regular emails, YOU NEED TO CONSIDER CONSENT. Go back up to the whole checkboxes thing. WHAT ABOUT WHEN I GET A BUSINESS CARD AND ADD SOMEONE’S EMAIL TO MY LIST FROM THERE? Um, you shouldn’t have ever done that. If you have, I’m not shaming you, but that’s not okay. The really great thing about GDPR is that it’s forcing people to market more honestly. Adding someone to your list without permission is not good. Don’t do that. Ever. Okay? Glad we had that talk. PEOPLE CAN UNSUBSCRIBE IN EVERY EMAIL THROUGH A LINK AT THE BOTTOM OF THE EMAIL. AM I COVERED? Not quite. Under GDPR, people have the right to be forgotten, which means that their data isn’t stored at all on the servers. This could be a challenge for you, but if you’re using a trusty email service provider, again–they will do the heavy lifting and make sure you can do this. WITH THIS WHOLE FACEBOOK/CAMBRIDGE THING, EVERYONE IS TALKING ABOUT BREACHES. DO I NEED TO WORRY ABOUT THAT? If you are using a trusted provider, you need to worry less. We pay them the big bucks to protect that data. And if there is a breach, they’ll help you comply, which means emailing those affected within 72 hours, being clear about what the breach entailed. IT SOUNDS LIKE AN EMAIL SERVICE PROVIDER REALLY IS THE RESPONSIBLE ONE. DOESN’T THE WEIGHT OF THIS FALL ON THEM? No. Under GDPR, your email service provider is the processor of data, but you are the controller. You decide what you’re doing with the data and communicate that clearly. Thus you are the one who is primarily responsible and accountable. In partnership with a good email service provider (again, I cannot recommend ConvertKit enough), you have a strong position for compliance. WHAT ABOUT THIRD PARTY CONNECTORS, LIKE LEADPAGES OR SUMOME OR INSTAFREEBIE OR BOOKFUNNEL? Those are making things more complex. Because they need to talk to your email service provider, there is a chance that they won’t talk well enough to transfer that compliance over. Some of those third-party tools may change their policy or how they collect data or what they do. This may be a good time to streamline your tools, but for sure at the least check their blogs or email them to see what they are doing to help facilitate compliance. I’M EXHAUSTED AND ANGRY. WHAT DO I DO? 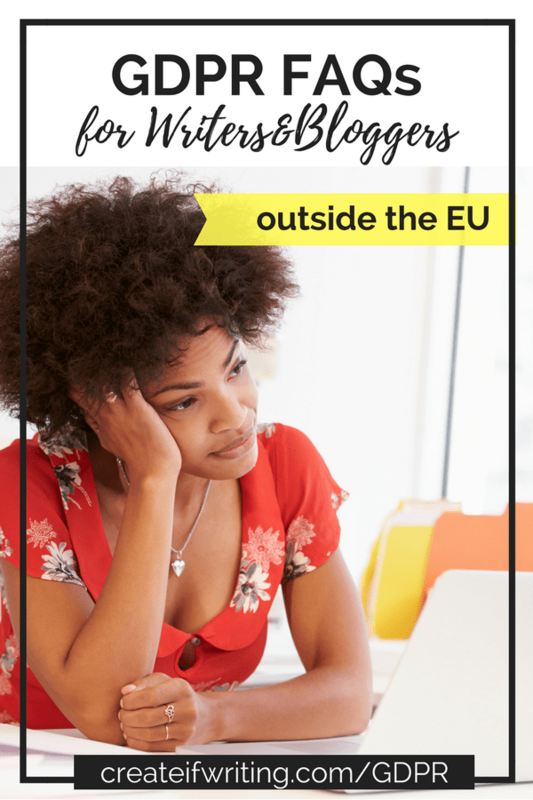 Read more in depth about GDPR in this post on how it impacts writers and bloggers where I go a bit deeper. Join me for a free training on strategy for using freebies in a post-GDPR world. Come on into my Facebook group. We can moan or groan about this and then talk about how we are going go comply. SO…I CAN’T JUST PLUG MY EARS AND SAY LA-LA-LA? I mean, you CAN. But I wouldn’t recommend it. Take a deep breath. Then start taking steps to comply. Check out my bigger post that has action steps. Here are a few things that I like about GDPR (because honestly, much of it makes me very stabby) and what I think we can take away from this regulation. We should be doing this anyway, right? GDPR helps give clarity. If you are signing up for an email list, it’s good to know what that means. We should all be doing this anyway, but GDPR is a great reminder that we should always make our intentions clear. Don’t buy email lists. Don’t add people without permission. Don’t be smarmy!! Use smart marketing tactics that don’t break people’s trust! If it feels gross, you shouldn’t have been doing it anyway. GDPR puts some serious weight behind this. I’ve heard people freaking out about this, saying they’re done with email. Calm down, son. Email is still incredibly powerful. We’ll survive GDPR just like we survived Y2K. If nothing else, it’s a great reminder that your email should not be an afterthought. Here are more resources and list-building tips to get you started! 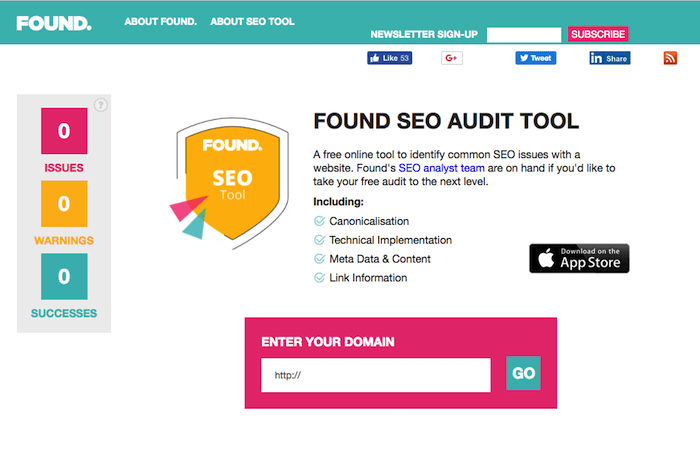 These tools are critical to your organic search strategy because they allow you to focus on the elements of your site that Google deems important. 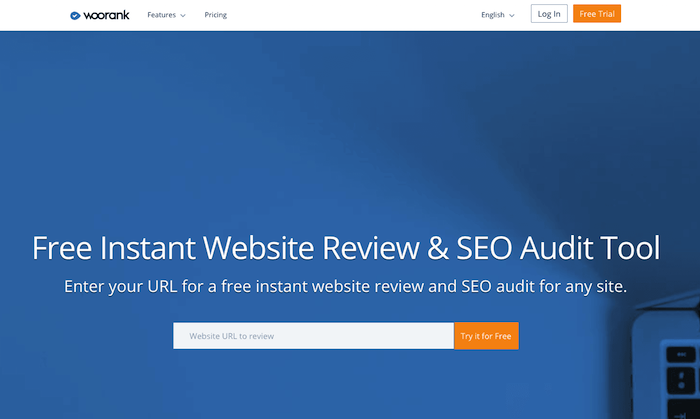 In this post, we'll walk through 10 such tools that all help you run a site analysis like a marketer ... and a Google bot! Spanning across 70+ metrics, it would be hard -- if not impossible -- to not uncover opportunities for improvement. Most self-publishing authors will need to work with various freelancers to get their manuscript through the book editing, book design, and book publishing phases, all of which are necessary to your book's successful publication. You've finished your book; the next step is to have your manuscript professionally edited. There are many different types of edits, so consider which you think your book needs before hiring an editor or send your book for an editorial review so an editor can help you decide. Editors do so much more than fix spelling and grammatical errors. They make sure your story is cohesive from start to finish and that your plot and characters make sense throughout. Rates for editing can vary greatly depending on how much work your manuscript requires and what kind of editors your work with. Your interior design is what makes your book readable. It helps orient a reader to where they are in your book and should never distract from the story. Interior design is subtle, but necessary, including things such as the table of contents, chapter openers, page breaks, running heads, and page numbers. Be sure not to miss these standard elements, because nothing says unprofessional book quite like missing the basics of all book design. If you're publishing your book with the intent of selling it, you will need to purchase and assign it an ISBN. The ISBN identifies your book as its own unique product and allows you to list yourself as the publisher and control the metadataassociated with it. It's important to be wary of "free" ISBNs because assigning one that is provided for you limits your capabilities. You should understand the importance of owning your own ISBN before accepting a "free" one. ISBNs cost $125 for one, or $250 for ten. If you intend to publish your book in multiple formats (meaning perhaps a hardcover version, a paperback version, and an ebook version of the same title), you will need individual ISBNs for each version, in which case, buying a block of ten ISBNs is a much better value. United States IngramSpark Publishers Receive a Special Discount on Individual ISBNs from Bowker—Login to Your Account to Receive Yours! Book distribution used to be the biggest roadblock for self-publishing authors. You could publish a well-written, well-designed book, but there was no way to get it out to the masses. Thankfully, that's no longer true. Self-published books are made available to independent bookstores, chain bookstores (such as Barnes & Noble, and Books-A-Million), online retailers (such as Amazon, Kobo, and Apple iBooks), libraries, and so much more. With IngramSpark, independent publishers can tap into the same book distribution traditional publishers access, including over 39,000 retailers and libraries and over 70 major online retailers. And not only that, IngramSpark's book distribution is global, connecting your book with a world of readers. Once you've written your book, lined up editors and designers, and determined your publication date, you'll need to be thinking about your book marketing strategy! You'll want to plan your book promotion long before you publish a book, because you want your book to have the best chance of succeeding, right? How can your book succeed if you haven't first told anyone about it? The first step to every good book marketing plan is to determine your audience. It's a mistake to think your book is for everyone because realistically, it's not, and by trying to push your book to everyone, you lose focus and spend a lot of time (and potentially) money targeting the wrong people. Start here, and then check out the marketing and promotion section of the IngramSpark blog for tons of specific book marketing tactics. There are also many experts that help self-publishers learn how to market their books with channels like social media, book review sites, etc, so feel free to pursue that route as well. There has never been a more exciting time to be an author, and when it comes down to how to self-publish a book, we hope you'll turn to IngramSpark for support along the way. We're probably a bit bias, but we think we're the best option for authors hoping to self-publish a book and we hope you'll allow us to prove that to you! Happy publishing!